Steve Tzemis and Pierce O'Leary are going to have you coverage all night from the MAC. Tip-off for the women's game is only 10 minutes away! First score of the game is a free throw. Rams up 1-0. This isn't hockey guys! Another shot clock violation. The Mustangs must be forgetting there's a clock. First quarter ends with the Rams doubling up the Mustangs, 14-7! Also, Rams start the quarter with four quick points. Their lead goes to 11. 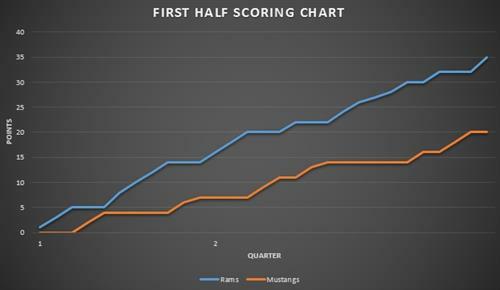 Rams keep slowly increasing their lead. They're up 14 now, with two minutes remaining in the first half. 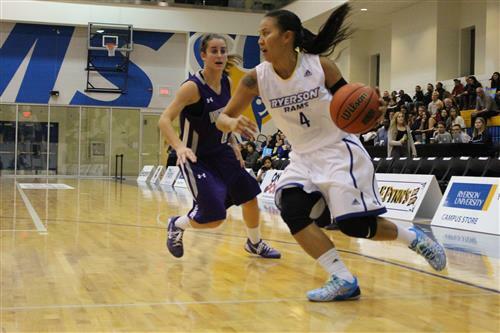 Ryerson's Chloe Mago battles in the corner late in the third quarter. 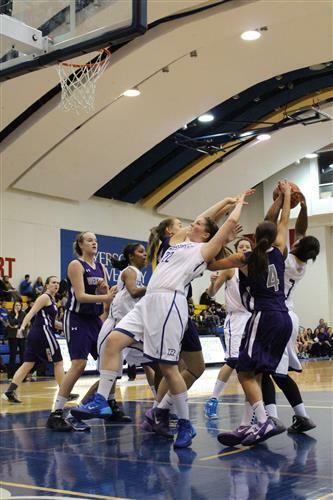 Ryerson Rams and Western Mustangs players try to get control of the ball in the paint. With 2:39 left the score is 63-50 in favour of the Rams.